SINGAPORE - Drugs worth more than a quarter of a million dollars were seized in an operation by the Central Narcotics Bureau (CNB) on Monday (April 16). The seized drugs include about 1.93kg of heroin, 1.03kg of cannabis and 870g of "Ice" or methamphetamine, estimated to be worth more than $288,000 in total. Four suspected drug offenders - three Singaporeans and one Malaysian - were also arrested in the operation, CNB said in a statement on Tuesday. CNB officers were observing a 23-year-old Singaporean man, a suspected drug trafficker, in Eunos Crescent on Monday afternoon. He was with a Singaporean woman, also 23, who was a suspected drug abuser. He was spotted meeting another suspect, a 23-year-old Malaysian man. The Singaporean man and woman were later arrested in a carpark in Ubi Avenue 2. The man "put up a violent struggle to resist arrest", CNB said. 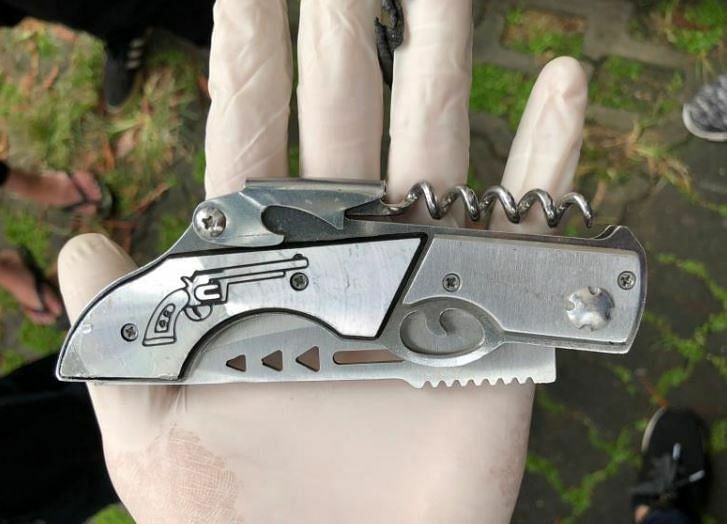 A jackknife, a large knife with a folding blade, was recovered from him during his arrest. A search of his car uncovered about 985g of heroin, 1,038g of cannabis and 192g of "Ice". Meanwhile, another group of CNB officers tracked the 23-year-old Malaysian man and arrested him at the junction of Jalan Eunos and Changi Road. A total of about 466g of heroin, 678g of "Ice" and cash amounting to $25,400 were recovered from the Malaysian man and his motorcycle. Another party of officers apprehended a 58-year-old Singaporean man, a suspected drug trafficker believed to be associated with the Malaysian man, near Block 10 North Bridge Road. About 468g of heroin was recovered from a bag he carried, while about 12g of heroin was recovered from his pocket. Investigations into the drug activities of all the suspects are ongoing. CNB said that 1,930g of heroin - the total amount seized in this operation - is enough to feed the addiction of about 919 abusers for a week. The amount of "Ice" seized - 870g - is enough to feed the addiction of about 497 abusers for a week, while 1,038g of cannabis can feed the addiction of about 148 abusers for a week.